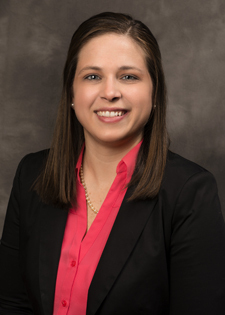 Meaghan joined the firm in 2013 and has four years of experience in audit, review, and compilation engagements as well as corporate and individual taxation. Meaghan graduated from the University of Missouri-Columbia in 2006 with a Bachelor of Science in Business Administration with an emphasis in finance. She earned her Master of Accountancy from the University of Missouri-St. Louis in 2012. Meaghan is a member of the Missouri Society of Certified Public Accountants. Volunteering with organizations close to her heart, Meaghan donates time to Young Friends of Kids with Cancer and Make-A-Wish St. Louis Young Professionals.